Many musicians have posed an (almost) unanswerable question; faced the eternal caveat, as it were. 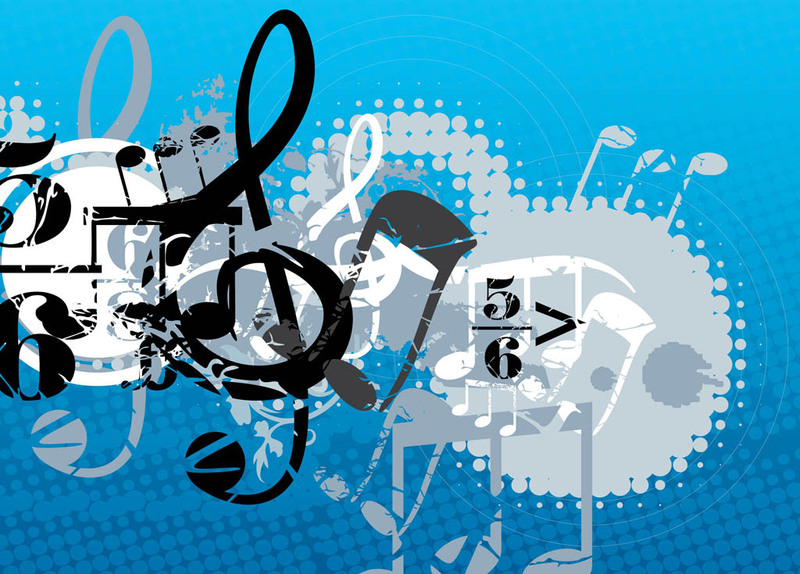 When it comes to creating music which comes first: the words or the music? Many have their own methods and interpreations- and their particular ruminative structure. In terms of my own struggle, I have found there is one clear-cut solution: get the composition laid down first. hectic for me, in terms of music-writing. Recently, I have been focusing my attentions upon reviews; seeking out the greatest and more ambitious new musicians- and surveying their merits. Over the next week, I will be contributing to a brand-new website; in its infancy, it is a London-based site which profits and promotes the finest sapling acts that the capital has to offer. I am looking forward to scribing my first review and am optimistic that I will be able to find a lot to write about going forward (for NewMusicJunkie). It is great reviewing and spending time analysing and investigating an act, but there comes a time when one needs a breather- like today. I shall be back to 'normal duties' tomorrow, but an issue struck my mind; something that is quite a conundrum in terms of songwriting; a problem that I have been facing since I began writing music- about fifteen years. When any songwriter begins work on a new track, there are a number of considerations. If you are a skilled composer and musician, then it is going to be a lot easier to compose your track; put the notes and tones into the mix- it is something I envy. Solo acts have all the responsibility themselves, and are charged with writing all the parts for each of their tracks (unless they collaborate). For that reason, there is a lot of pressure on the shoulder; not only does the quantity have to be consistent and varied, but the quality has to be up there as well. If you are a band, then three or four (or more) bodies are available to write with- even duos have an additional mind on hand. Not many acts (whether they are solo or a band) have managed to get everything 'just right': the lyrics, melody, composition and vocals. I will take the latter point out of the equation, but in reality, how many acts do you know whom manage to present superb and unparalleled lyrics and music all of the time? There are quite a few acts whom are superb lyricists; able to intrigue and fascinate at every turn; present a range and skill that few others possess. On the other hand, there are plenty of musicians whom present skilful compositions; deftly capable of deep and rich parables- yet are let down when it comes to the words. Of course, there are a small number of acts whom falls within the triple intersection- those whom master lyrics, melody and music with ample ease. I bring this issue and subject up for a few reasons. First of all, it seems that there is a genuine dip in quality with regards to music; that some spark has been extinguished- and the standard is not as high as it has been. New music fares a lot better, and there are plenty of stunning fresh acts- yet there are so many of them, that the overall percentage of 'phenomenal' artists is fairly low. I don't know what it to account for this recession- changing tastes; my subjectiveness; fatigue- but there is not the headiness and excitement that there once was a couple of decades ago. I will explore this more thoroughly in a while, but another thing plays on my mind: the difficulties that arise when it comes to writing. I consider myself to be an above-average lyricist; perhaps in the top 2% percentile of current wordsmiths- perhaps optimistic, but I would challenge anyone on that point. As a singer, I am a confident and hardworking chap; wholly assured that I could set a few tongues wagging; present something different, that would get under the critical skin. The only thing that trips me up, is the business of composition and melody. Solo artists have to teach themselves to take care of everything; to ensure that they have a proficiency which means they can put all the components of a song together- sans assistance and help. Bands often have a lyricist and composer; or else two or more members will share the duties between them. Naturally, there are bands with one songwriter; he/she whom handles all of the songwriting chores, and it is something that I have always been envious of. Setting aside the issue of quality and diversity, the act of writing even a single track can be a Labyrinth of complexities and hardships- something that can scare off a lot of eager new musicians. I shall use myself as a case study, in order to illustrate my point. At present, I am technically a solo artist; without a band, I am penning eleven tracks for a (theoretical) upcoming album; something that has been in the works for years; scurrying around my brain and obsessing my every waking moment. A lot of musicians have been asked about their songwriting process and compositions; posed the striking conundrum: do you write the lyrics or music first? For me, I have no choice but to write the lyrics first. I can come up with the song titles and themes; able to pen a set of lyrics and have everything set out in front of me- yet they stay there naked; without tune or clothing. Legends such as Freddie Mercury and Michael Jackson were not particularly adept at reading or writing music. In the case of Jackson, he would compose all the music in his head; skillfully sing notes and instrumental elements- producers were stunned at how assured and skillful Jackson's compositions were. Mercury too could consecrate and form an entire song in his head; present it to the band, whom would in turn bring it to life. Neither artist were skillful musicians or played many instruments between them, yet they had a talent which meant they could get around this issue: I can't. I have tried many times to learn the piano and guitar, yet I find dexterity and proficiency severely lacking. I have always seen myself as a guitarist-in-waiting, yet something in my brain stops me from excelling; something is lacking that means I find it near-impossible to play a simple chord sequence- quite problematic with regards to songwriting. In that respect, I write the lyrics first and try to muddle through the music. I am not on the same par as Jackson, yet can imagine string compositions and parables in my mind; guitar solos and drum fills; piano codas and multi-layered beats- yet cannot put them onto paper. What you get is a man with a series of songbooks lacking in notation; melodies and compositions are stuck in my head, fated to remain there for a very long time. For that reason, it seems that I will never make it as a solo artist; or at least one whom writes all of his own songs- without any outside support. This is not a problem, as I have always wanted to be part of a band, and will be sending out an advert next week- in order to recruit warm bodies to help me bring my songs to life. It all sounds like a roundabout ramble, but I have dug myself into a little bit of a ditch. Of course, I can form the band and get everyone sorted, but all I have at the moment (aside from my voice) is a set of lyrics, song titles and ideas. It is going to be difficult to visualise and express the songs fully; put any colour or meaning into them (as I do not write music); I am able to hum the compositions, but I will need a lot of assistance from the (as yet un-recruited) band. It is not a huge issue, but I wish that I were able to write songs entirely; be able to hand the composer duties- and have something fully formed on the table. I am sure that any forgiving and understanding band will not only indulge my inequities, yet help foster my ambitions- and provide compositional backing. When answering the question 'do you write the music or lyrics first? ', I always answer 'lyrics'- yet it is so much more organic and easier doing things vice versa. There is no right answer, but to me, the rhythm is king; the beat and music is the most vital facet of a song- and are such needs to be taken care of first. I can write lyrics either way, yet when I am faced with a blank piece of paper, it seems like such an uphill struggle. Unless I have words flowing around my brain, I find it incredibly difficult just sitting down and writing words- I need a melody or composition to get my mind working. I have (just) managed to write eleven album tracks, yet it has taken such a while, that it has left me exhausted and somewhat jaded. The thing is, it is remarkable how easy songwriting is when you have the music already worked out. Just recently I have re-acquired Beck's 2005 album Guero. Most people are familiar with Beck, yet I am confident few have investigated this album. If you have not listened to it, I would suggest you give it a go. It is similar to Odelay- in terms of its freewheelin' spirit and invention- yet more restrained and mature. As soon as I began listening to the tracks on the album, lyrics rushed to mind. There is so much range and genre-shifting across the L.P., that everything came tumbling out; entire songs were written and completed- after hearing Beck's winding and jittering parables. E-Pro is an electronic rush that scrabbles and implores; mixing the talents of The Dust Brothers and Beastie Boys into the mix, it is an emphatic opener. Black Tambourine's boogying and funk-laden workout gets you dancing and singing along. Across the opening stages, Funk, Hip Hop and Country are teased; Missing's unique delineation and evocative lyrics inspire the mind; Go It Alone has a Z.Z. Top essence that gets under the skin- when each track plays I found myself writing a new song. Before I knew it, some of the 'unfinished tracks' had words; based on Beck's varied and pulchritudinous motifs I found words pouring out- where before they had been lacking. Other albums have a similar effect, and it is strange the way other artists can inspire your own music. 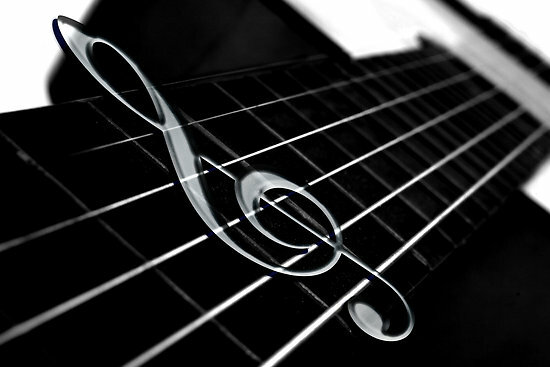 I find that music is the most important aspect of a song, as it is the most inspiring and compelling aspect of a track. For that reason, I have not only forged ahead with looking for a band, but decided to re-attempt learning music- picking up a guitar and trying to get to grips with it. I am proud of the lyrics I write, but find that they have come about through struggle and unnatural means. Even a simple tune or composition can lead me to pick up a pen and insatiable scribble hundreds of words. GET the rhythm licked first.